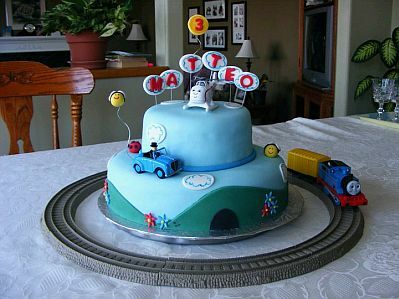 For the party of your child, decorated with Thomas and Friends, be a resounding success you have to choose the cake or perfect birthday cake. 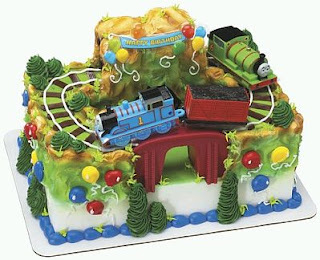 Here are some nice models that sureky will be useful. In this picture you have a two-floor cake, at the base of the first have a highway and a tunnel, in the space between the first and second, a train and at the top, Thomas. 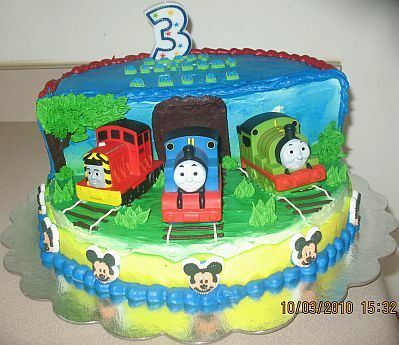 If you prefer Thomas and his friends, this is a good option to have them all three together. 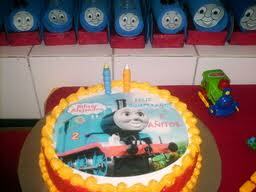 If you thought a circular cake, are equally interesting, in this particular, you get the picture of Thomas. 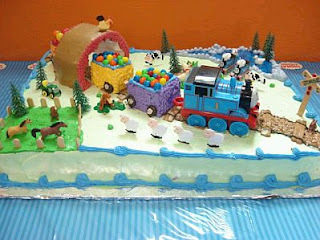 A work of art, Thomas is going through a stage full of snow on the cars has many sweets. 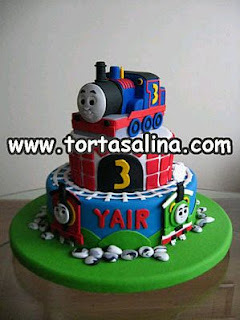 Beauty cake with two floors, in the first you have Thomas friends, in the second tunnel and on top of the famous train. 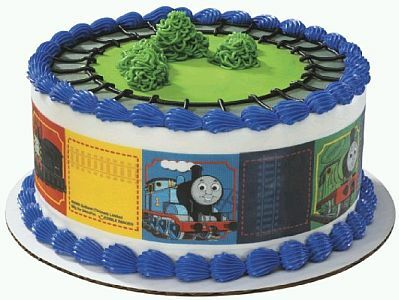 Another round cake, in this case, the main decoration is on the boundary of the pie, it is seen to Thomas and his friends. 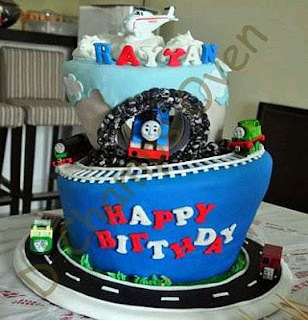 Complicated but cute cake Thomas and his friends, in it you can see a stage full of balloons. 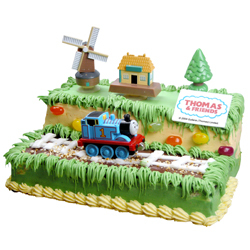 A different scenario for this cute Thomas cake , the same is in the first level, while the second is seen a mill and a house. Tender cake model two-level, surrounding the first cake level can appreciate Thomas. 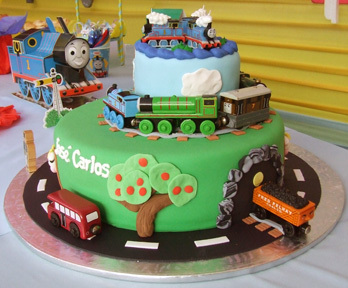 Finally, if you prefer the original and less symmetrical forms, this is a good example, at the base of the first have a motorway, on the first cake you have the rails and friends of Thomas and in the middle of the second cake, a tunnel through which appears the famous train, on top have a plane.